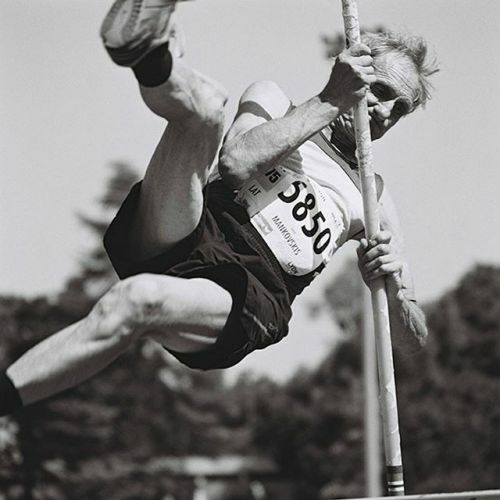 “Janis Mankovskis, 75, of Latvia competing in the pole vault during the second day of the decathlon in the 75-79 age division at the World Masters Athletics Championships in #Lyon, France. @angelasnappy spent the week of her 40th birthday photographing women and men over 60 competing in the heptathlon and decathlon. “Watching them reset my expectations of age,” @angelasnappy says. She was 21 when she retired from the heptathlon. “I hung up my spikes, convinced I had done the best I would ever do,” she wrote for the #lensblog. But peak performance is a relative term. As one athlete told her: “It’s never too late. I’m 81 years old, and look what I did. I didn’t sit in my rocking chair and say, ‘I got a pain here and a pain there, and I can’t do anything.’ I get out there, and I work out the pain.”” By nytimes on Instagram.